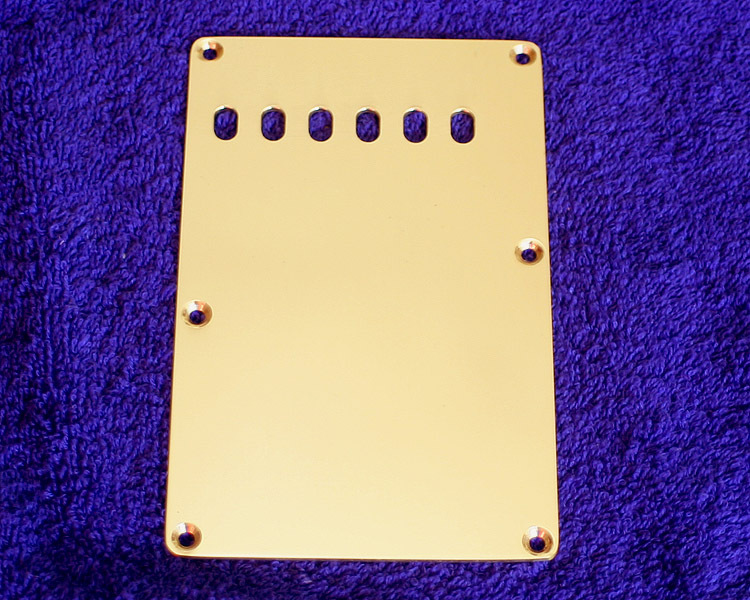 This is the tremolo back plate you will need for a perfect replica of e.g. 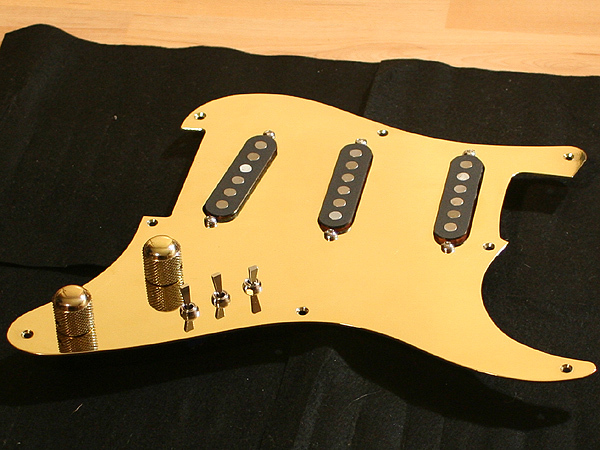 Mark's stolen sunburst 'Tunnel of Love' Strat. 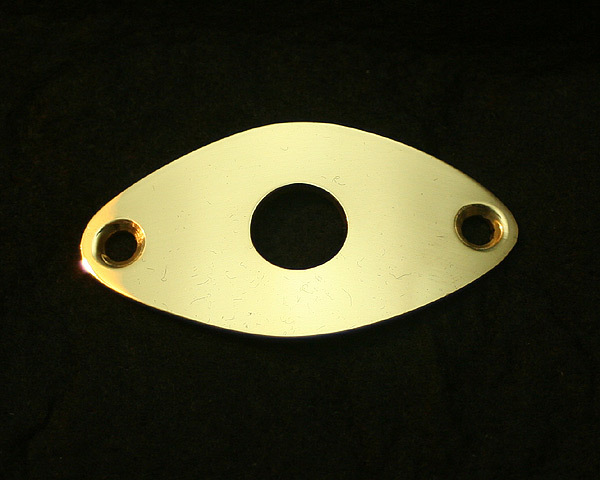 Polished brass, coated with a layer of clear laquer to protect from varnishing, just like vintage Schecter. 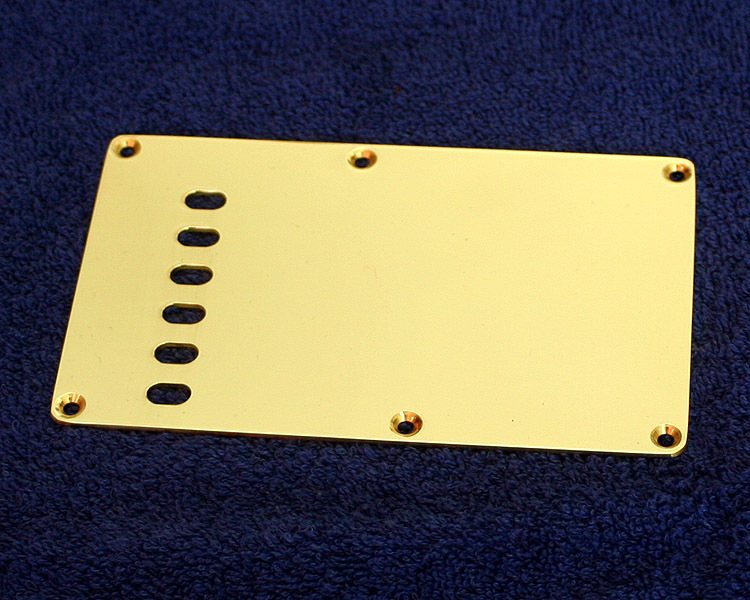 On a vintage Schecter Dream Machine the tremolo back plate was normally of metal, in this case brass. 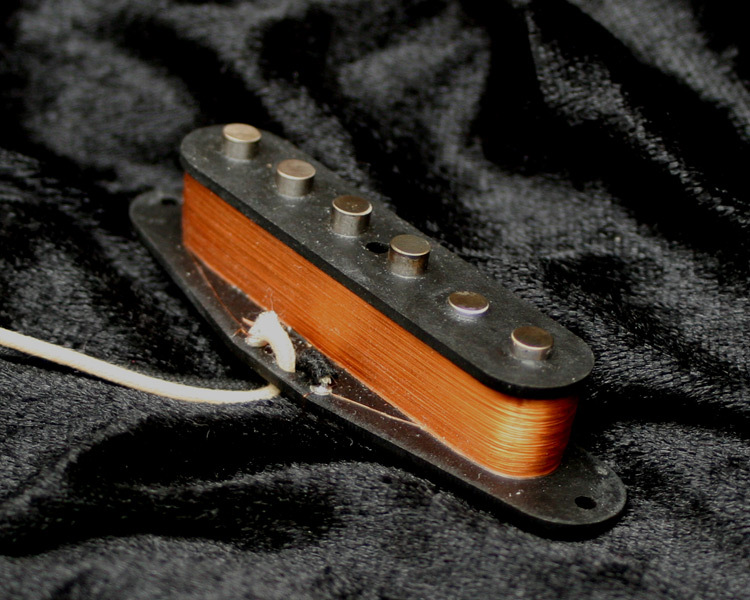 Theoretically each piece of metal within the pickup's magnetic field will have an effect on the sound of the pickup. 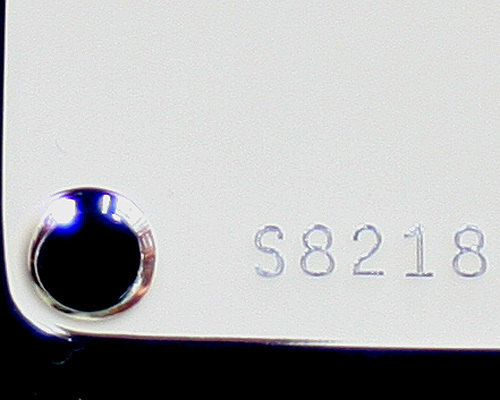 In case of the tremolo plate (in contrast to the pickguard!) 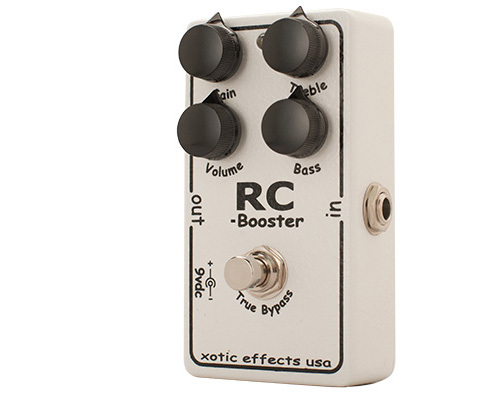 this effect might be neglectable. 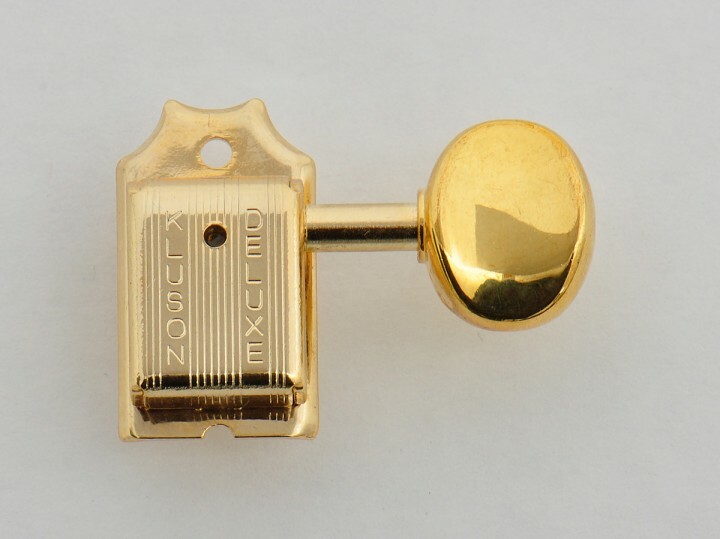 For originality, and the 'vibe' of your replica guitar, it might be not! 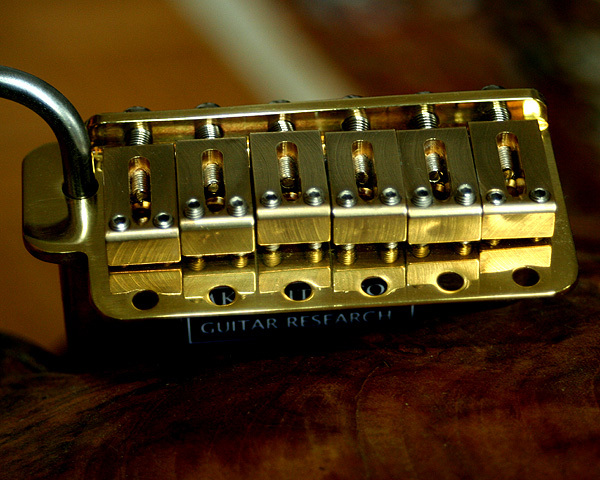 Also it will change the weight, and with this the resonance frequencies of the guitar.